Semi-desert. Sand, canyons, openings. Spring. McElmo Canyon, Canyons of the Ancients National Monument, April 6, 2005. 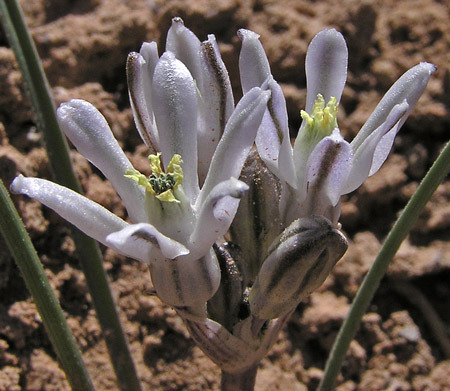 One, two, or three long and narrow leaves precede the often much shorter flower stalk of Sand Lily. 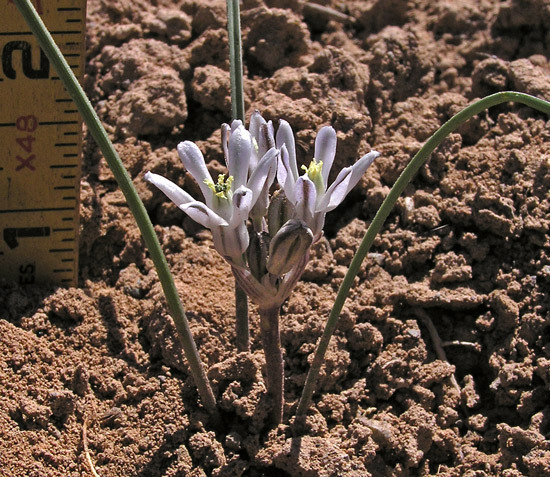 Flower stalks do sometimes, however, elongate as the plant matures. The white to green flowers with green to purple stripes are very easy to miss and so are the green seed capsules (see below). "Andros" is Greek for "man" and "stephium" for "crown" both alluding to a rounded feature of the flower. "Breviflorum" is Latin for "short flowers". At the base of Shiprock, New Mexico, April 22, 2010. 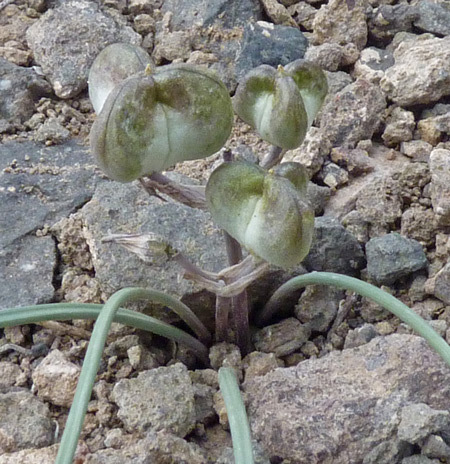 The exotic, three-lobed capsules containing the seeds, are as difficult to pick out of the background of the soils and rocks they grow in as are the small and inconspicuous flowers. But when we focus on them in photographs, we train our brain to recognize the plants and make it much easier to find them next time in the field.